A company may be an incorporated company or a corporation or an unincorporated company. An incorporated company is a single and legal person distinct from the individuals constituting it, whereas an unincorporated company, such as a Partnership, is a mere collection or aggregation of individuals. 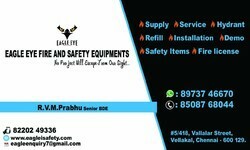 NOTE:- Dealing in Chennai and Tamil Nadu only. Our company has achieved widespread recognition in providing12A Registration Service. 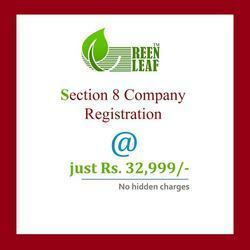 A Company limited by Share and incorporated with a Share Capital of Rs 1, 00, 000 is called as Private Limited Company. Private Limited company are easy to start up with minimum 2 directors, and with less compliance with registrar compared to other companies. These kind of companies are closely held businesses usually by family, friends and relatives. MAK Integrated Consultancy Pvt. Ltd.
Proprietorship We Are Offering Proprietorship Firm Registration. We Are One Of The Leading Companies Engaged In Meeting The Consultancy Service Demands Of Proprietorship Firm Registration Services. Our Single Platform For Offering These Services Helps Our Clients To Be Registered As A Proprietorship Firm.
. Easy to Start - Proprietorship needs minimal registration. Therefore, it is one of the easiest form of business entity to start with minimal formalities. One Person Company as the name suggest, can be registered with single person as the member, but it has an advantage of having 15 Directors in its company. One Person Company is defined in Sub- Section 62 of Section 2 of The Companies Act, 2013, which reads as follows: ‘One Person Company means a company which has only one member. A foreign company can commence operations in India in one of the many different legal forms as described below. You may want to start a new business. But you may not be very sure what type of organization you want to register, as there are various options like Sole proprietorship, Partnership Firm, AOP, BOI, Private Limited company, Public Limited Company etc.